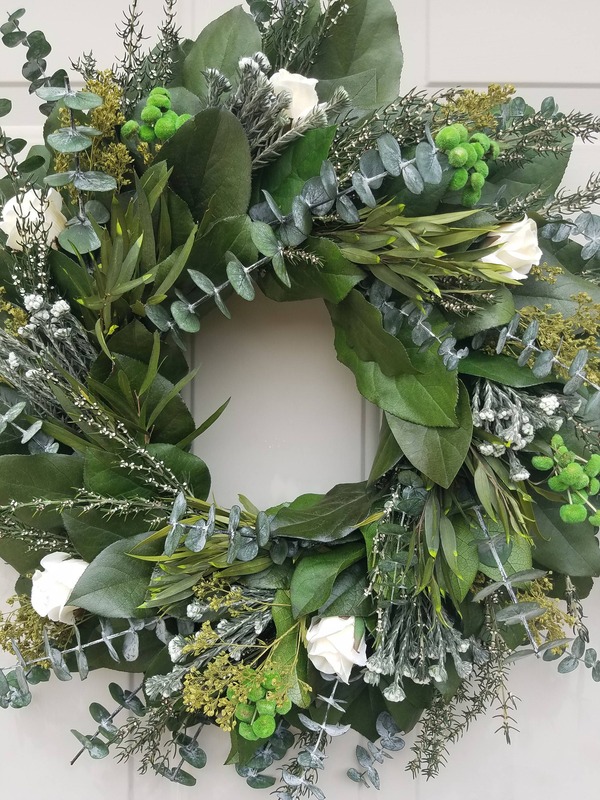 Preserved wreath is decorated with cream dried look roses (silk), or preserved roses (see upcharge) teardrop eucalyptus in kiwi color. 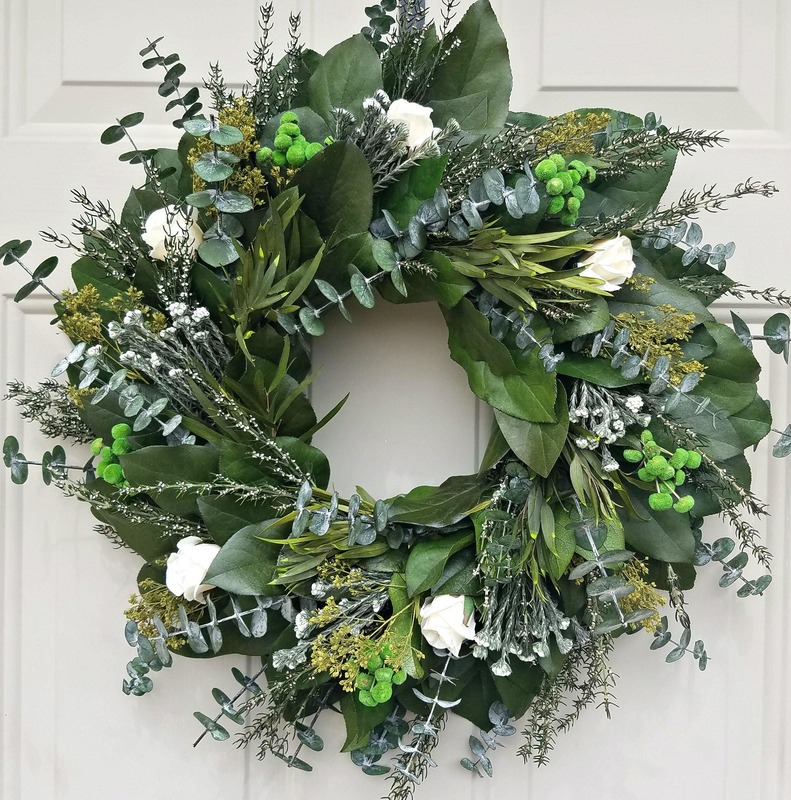 lemon leaf is preserved in green, preserved white grabia, moss colored sesame bloom, white cotton phlyica, green button flower, spiral eucalyptus, and looped bear grass. 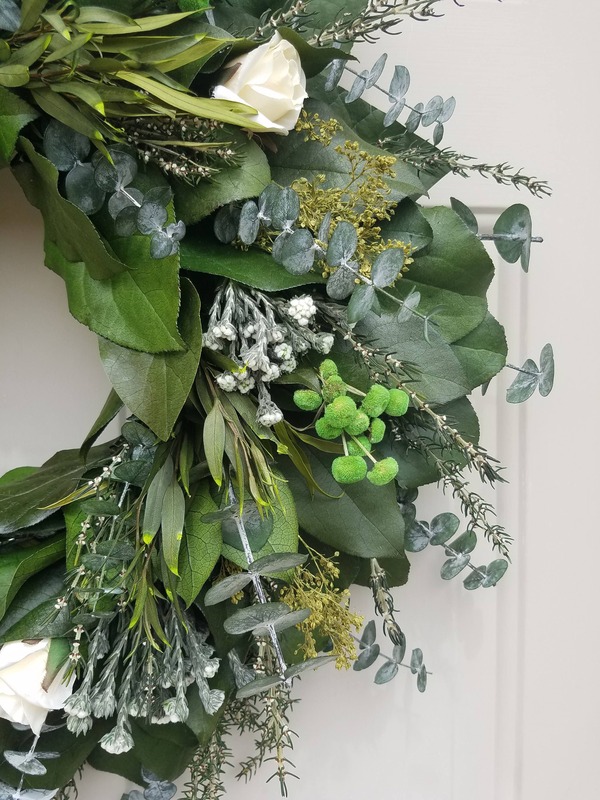 This wreath should only be hung on an exterior door with a storm door as natural dried and preserved materials need protection from the elements the elements. 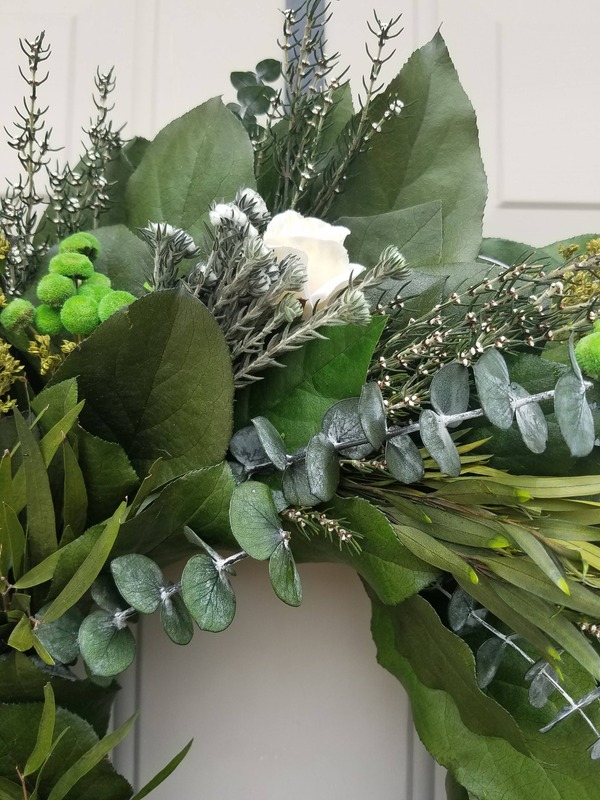 This wreath is made on Styrofoam base. Click on the drop down menu to choose a size. 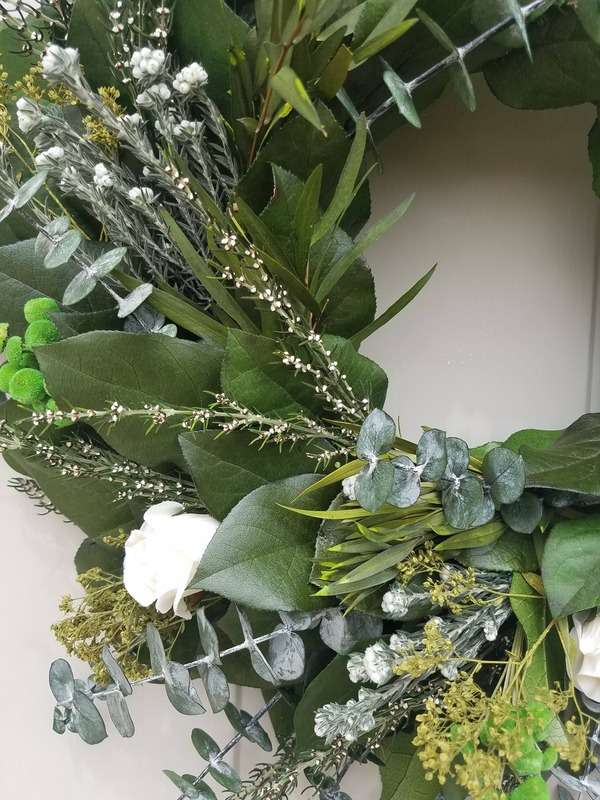 *****Click on the link to see all my wreaths and preserved roses at endlessblossoms.etsy.com ***** When choosing a wreath size I recommend a 20-24 inch if this is to be used on a door.